The Bigjigs Rail wooden replica of the Peckett engine is ready to roll. Packaging includes information about he evolution and working life of the engine. Includes: a Peckett engine, Royal Dockyard tender and 2 pieces of track. Magnetic couplings ensure compatibility with all other engines and carriages in the Bigjigs Rail range. Age 3+ years. 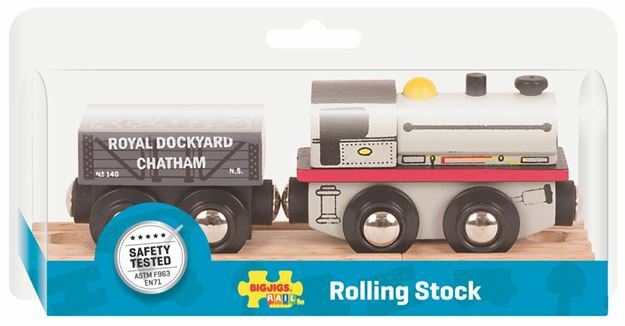 Compatible with most other wooden railway brands. Distributed in New Zealand by Holdson.